Sunesta’s Durable Retractable Solar Screens Will Create A Shaded And Private Retreat At Your Home In Holderness, NH. A Virtual Oasis In Your Own Backyard! Retractable solar screens are an easy investment that will increase the enjoyment of your outside space. Once fitted, you will have instant control over the amount of sunlight and privacy that your space is allowing while enjoying the outdoors. At Sunesta, they manufacture two exclusive retractable screens that are designed to increase your enjoyment of the outdoors – the Sentry™ and the Sunroll™. 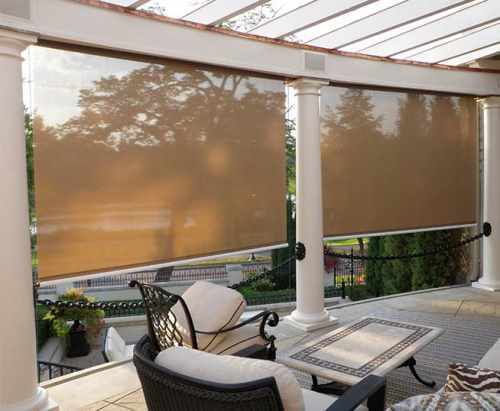 With a Sentry™ solar screen installed in your backyard space, you will be able to block out UV rays, control the brightness of your patio or deck, and even keep pesky bugs away. As an alternative, the Sunroll™ focuses in providing more privacy for your backyard space. When you turn to Sunesta for solar screen shades for your Holderness, NH home, you will be able to choose from a variety of mounting styles to find a perfect option for your home. They offer four exclusive methods of mounting including a surface mount, inside mount, distance mount, and recessed mount. Each of these provide their own unique benefits, and a Sunesta dealer will work closely with you to choose which option will work best for your home. A weatherproof SmartSeal™ brush that will make a perfect seal along the side of your home to block out any moisture damage and more.